The paradigm of passenger leukocytes (cells, which migrate out of the transplanted organ) is believed to influence the allograft survival in the long-term - either leading to rejection or mediating tolerance.A limited number of data illustrate that migration of donor-derived leukocytes is not restricted towards lymphoid organs. However, the precise mechanisms involving donor-derived lymphocytes migrating through the recipient´s body has not been elucidated in detail. 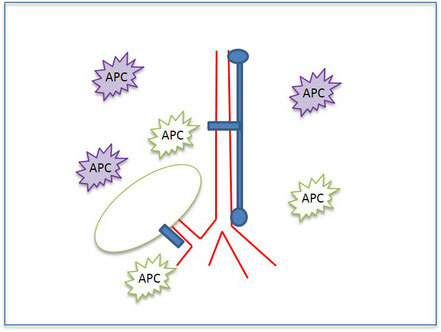 In order to understand the multiple mechanisms leading to the initiation of graft rejection or graft acceptance we will consider in our investigations the type of organ which becomes transplanted, the phenotype and and migration of donor-derived leukocytes as well as various sites of antigen presentation.